Free parking during lunch hours and valet parking on Friday and Saturday evenings. 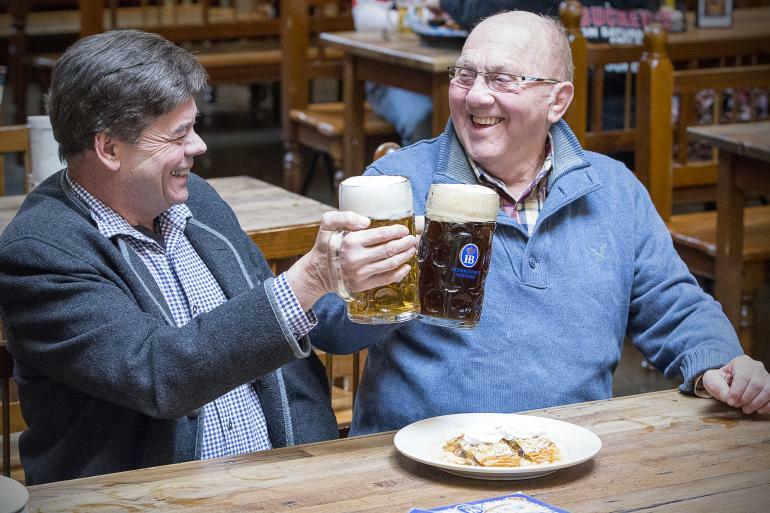 The Hofbräuhaus Newport is a restaurant attraction in the popular Newport on the Levee area of Northern Kentucky. 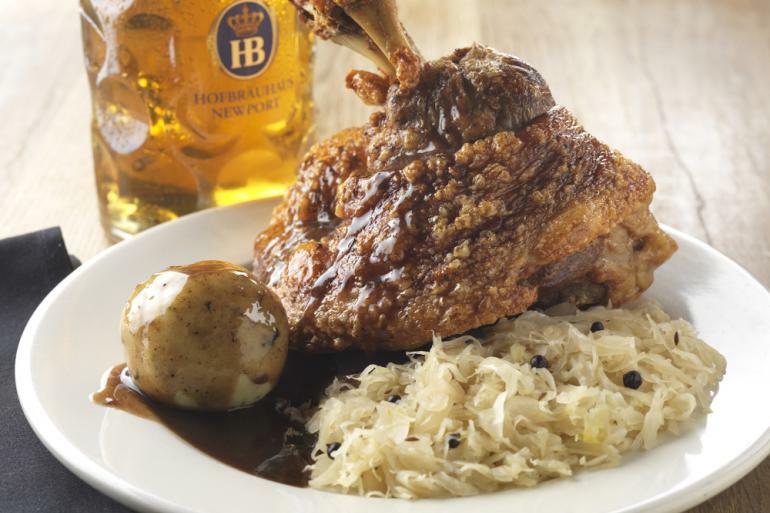 From the traditionally decorated rooms, to the excellent bier and tasty German and American fare, Hofbräuhaus Newport is sure to be a memorable experience for everyone. 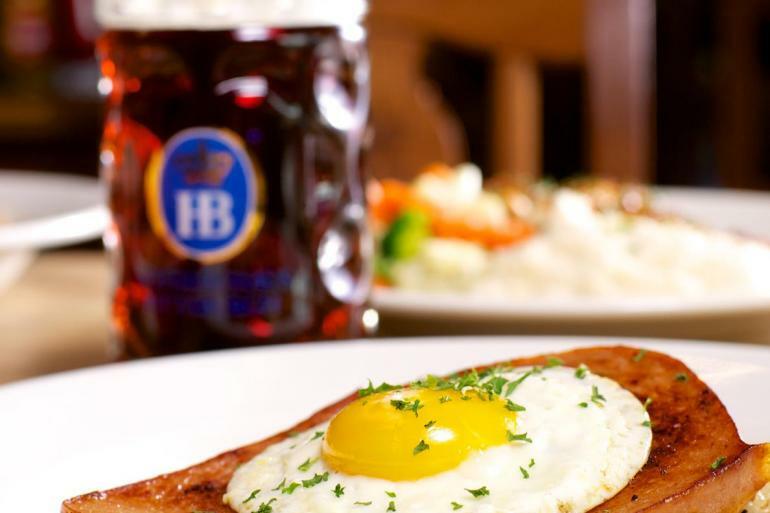 The Hofbräuhaus Newport is modeled after the original 400+-year-old Hofbräuhaus in Munich, Germany and is the first one to be licensed as a franchisee of the state owned brewery in Munich. 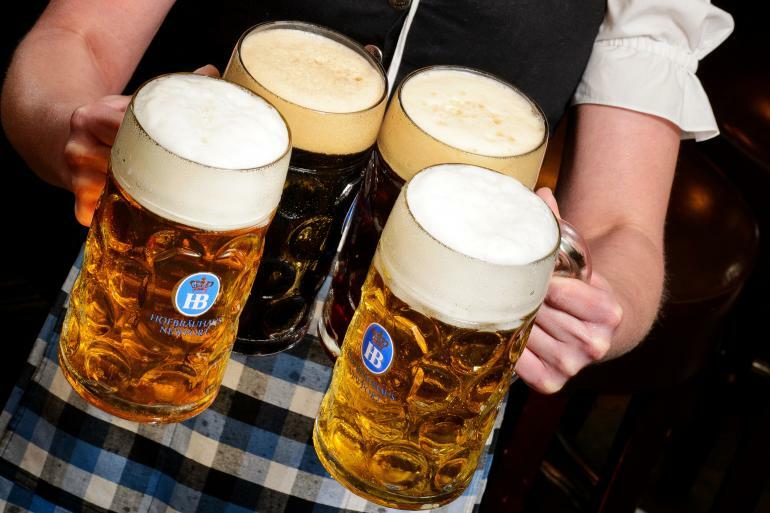 Features include German and American dishes, specialty and seasonal biers brewed on-site under the direction of the talented Bavarian brew master while adhering to Germany’s strict purity law; live entertainment daily in the traditional Bier Hall with seating for up to 250, quieter, non-smoking dining for up to 120 in the Stubbe with its antique, hand-carved chairs from the original Hofbräuhaus; the area’s largest bier garden with a view of Cincinnati’s skyline for 500+ guests to enjoy, and a well-stocked gift shop. 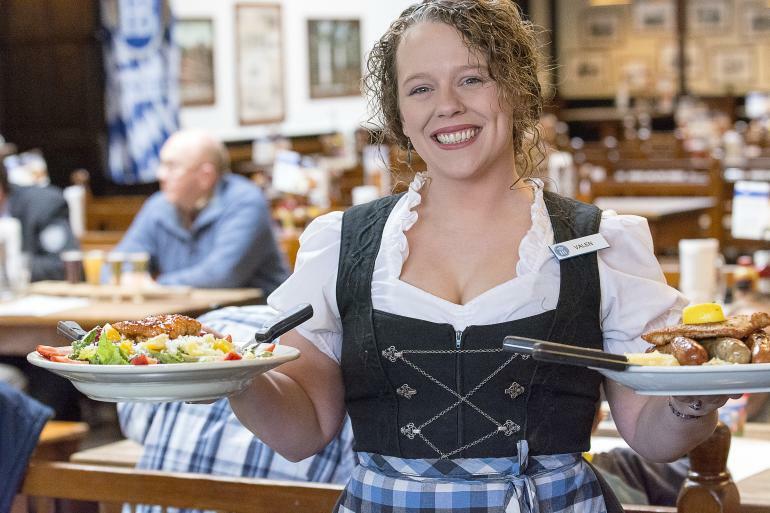 You may have trouble pronouncing some of the dishes - kartoffelpfannkuchen (potato pancakes)- but you'll love tasting the Hofbrauhaus' authentic German cuisine. 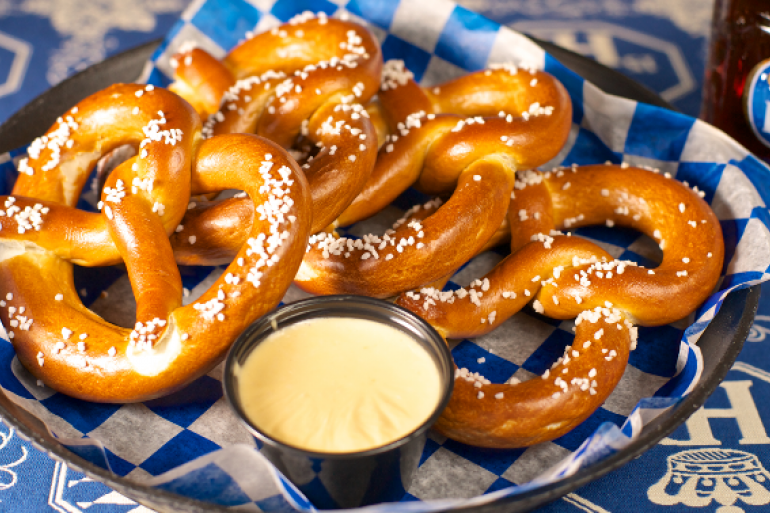 Throw in the brew pub's on-site beer producing factory and every day is a party at Hofbrauhaus, no matter what the occasion. 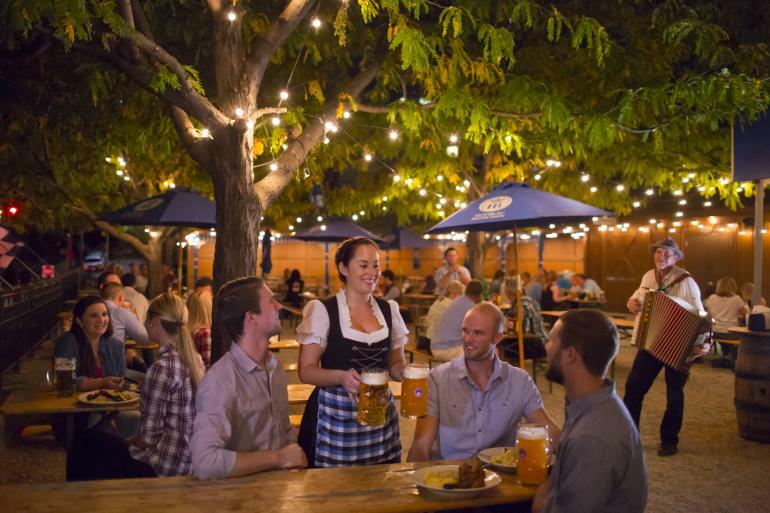 These alfresco dining venues offer unique atmospheres and unexpected fun in Cincinnati & Northern Kentucky. 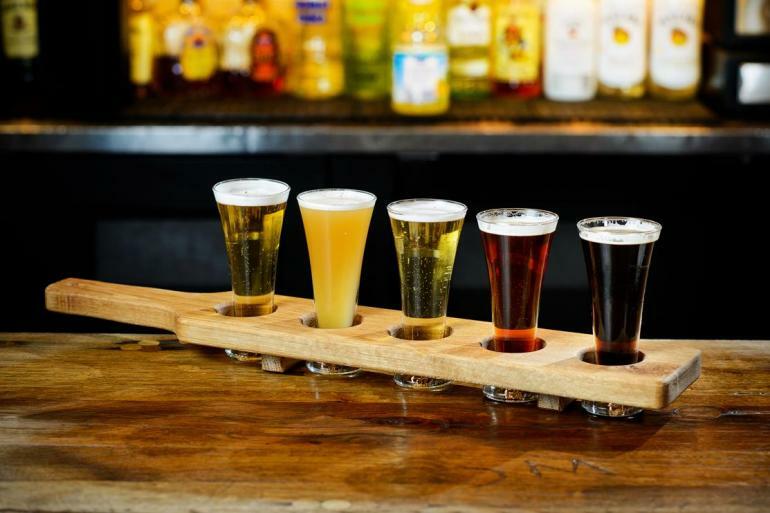 GameWorks is the incredible high-tech entertainment, restaurant and bar experience where guests can eat, drink, party and play. Located inside Newport on the Levee’s Gallery Building, Art on the Levee is a unique gallery where local artists can show a broad selection of ceramics, paintings, sculptures, photography, jewelry and more. Kentucky Pickens is a one-of-a-kind retail destination at Newport on the Levee featuring antiques, collectibles, hard-to-find items and bargains galore.